Vapor-phase Granular Activated Charcoal (GAC) is a treatment technology that removes contaminants from air. Contaminated air is passed through one or more vessels containing GAC. Contaminants absorb onto the surfaces of the activated carbon grains. The thermal processing of carbon, often from coconut shells, creates small porous particles with a large internal surface area. This processing activates the carbon. The activated carbon attracts and adsorbs organic molecules as well as certain metal and inorganic molecules. When the concentration of contaminants in the vapor exiting the vessels exceeds a certain level, the carbon must be replaced. Spent carbon can be regenerated in place; removed and regenerated at an off-site facility; or most commonly, removed and disposed. Vapor Phase Carbon Adsorption Systems are designed to remove certain gaseous contaminants, including Dioxins/ Furans, Hydrogen Sulphide, Hydrogen Chloride, Ammonia and Mercaptans. Rapid economic development and urban population growth have triggered a series of challenges to the endeavors of maintaining the clean air. Urban air is cause of public concern, largely as a result of instances of smog and health problems. New pollutants are being increasingly recognized. Air pollution sources have grown and so also the pollutants. Some of these have led to the emission of some hazardous air pollutants like Volatile Organic Compounds (VOC). VOCs are chemicals that have high vapor pressure exceeding 0.5 kPa at 25⁰ C, like benzene, toluene, xylene, formaldehyde, and methylene chloride. Major VOC emission sources are automobiles exhaust (45%) followed by industrial sites (41%) and remaining from solid waste disposal and from miscellaneous sources. The acute and chronic effects of VOCs on health and environment include eye-nose-throat irritation, cancer, liver damage, and kidney damage. Hence, many VOCs have been identified as toxic and carcinogenic. 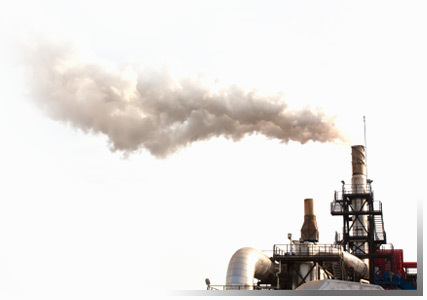 Approximately 235 million tons of VOCs are released every year into the atmosphere by man-made sources. The subject has become important because of the impact on environment and human.